A family farm dating back to the early 1900s is now a one-of-a-kind play experience for the lucky lil’ farmers of Salt Lake County, Utah. 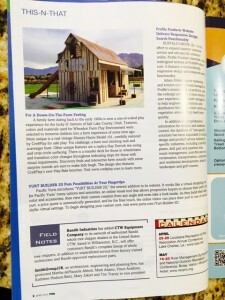 Textures, colors and materials used for Wheadon Farm Play Environment were selected to immerse children into a farm experience of some time ago. Most unique is a real vintage Massey-Harris Model 101, carefully restored by Cre8Play for safe play. For challenge, a barn tool climbing wall and scavenger hunt. Other unique features are a replica Hay Derrick tire swing and crop-circle surfacing. There is a transfer deck for those in wheelchairs and transition color changes throughout indicating steps for those with visual impairments. Discovery finds and interactive farm sounds with some surprise sounds are sure to make kids laugh. The design also features Cre8Play’s new Hay-Bale benches. 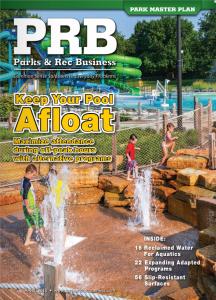 Click here to read article on Page 8 in Parks & Rec Business magazine.